If you are an enthusiastic motorcycle rider and have a passion for devouring roads, you are probably aware of the importance of wearing protective gear. In case of accidents, protective gear can soften your fall, protect your head and eventually save your life. When it comes to protecting the hands, a quality pair of motorcycle gloves is a must. When I say quality, I mean gloves made from (usually) cow leather that provides a good balance of snugness, great grip and room to move. As you can assume, they are much more than a stylish accessory on your hands. Let’s take a look at the important benefits a quality pair of motorcycle gloves can provide. Falls might happen even to the most experienced motorcycle rider. In case that happens, you should try to land on your hands. Wearing gloves can protect your hands during these unpredictable falls which can happen, for instance, if someone cuts you off in traffic, or a large gust of wind from a truck throws you off. Additionally, in a high-speed accident, hands are instinctively put out to protect the head and other vital body parts, so wearing gloves will protect the hands, fingers and fingertips from lacerations. When riding the bike for a longer time, your hands may become numb. This sensation is highly uncomfortable and can lessen the strength of your grip. If this happens, you might not be able to control the motorcycle in a balanced way. 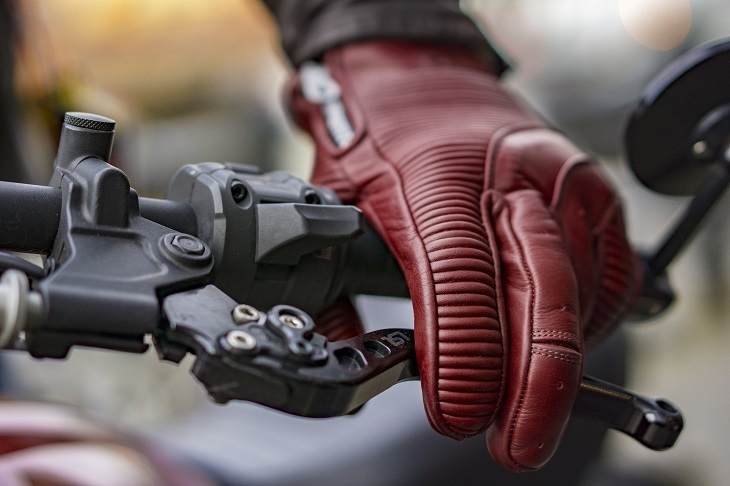 So, a motorcycle glove made from a quality cow leather material and padded parts can keep the feeling in your hands and shelter them against the vibrations from the bike. Another benefit the motorcycle glove offers is a good grip, even in summer when riding in hot weather. Without gloves, your hands can become sweaty and slip at any time. Also, when you are speeding down, this slipping can cause you to lose the balance. For summertime, it is recommended to buy fingerless gloves so that sweating can be minimized. In winter, on the other hand, the gloves can keep you warm and give you insulation that makes riding less cold and more comfortable. An extra benefit we shouldn’t ignore, is, of course, the style aspect. There are many different designs of motorcycle gloves and that adds to the visual appeal and helps render every rider’s look a symbolic and distinctive one.